600mts plot has all lawn, pool, barbecue, house ten minutes from the beach Geribá, right, the house has three bedrooms and one suite. All with air conditioning, ceiling fans, and televisions, lounge, TV three bathrooms, full kitchen, toaster oven, freezer, microwave, electric filter, ten minutes from Geriba beach, right .acomoda ten people comfortably, has SKY and Internet. all lawn, talking directly to owner Rosalva. 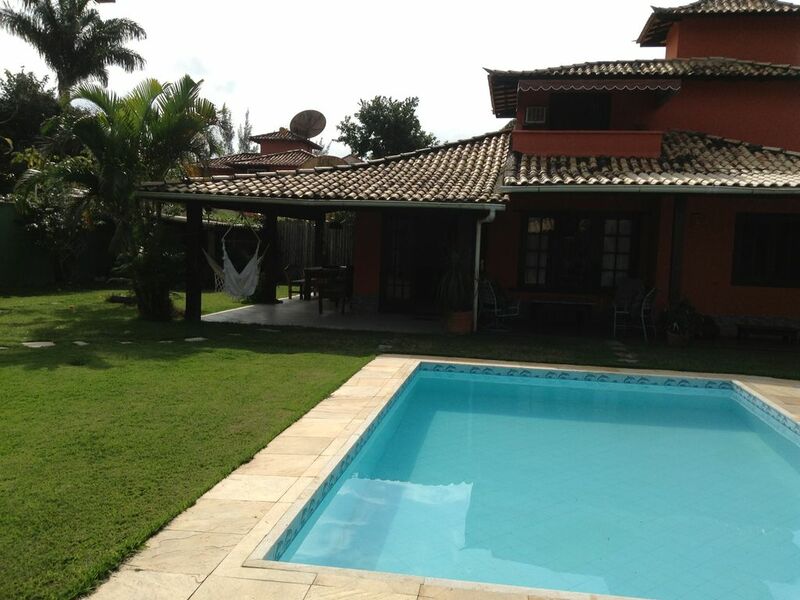 Near a shopping center (banks, restaurants, shops, shopping and is close to the beach Geribá). Aluguel de temporada ou fora de temporada, preço a combinar direto com o proprietario. obs: serviços de caseiro incluido. Valores a combinar.